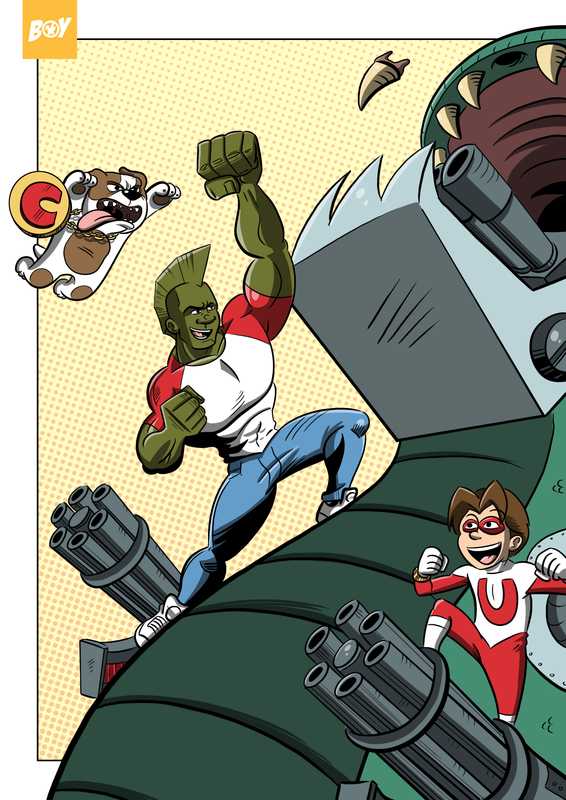 Starting with the anniversary 200th issue of Savage Dragon there will be a small back-up comicstrip featuring the adventures of everyones favorite superdog: Ulti-Mutt! Written by Joey Esposito and Benjamin Bailey, lettered by Adam Pruett and drawn by Boy Akkerman. We are all superproud of this new project!